“When we sense that we are truly loved for ourselves, in our essence, we are able to risk trying something new. 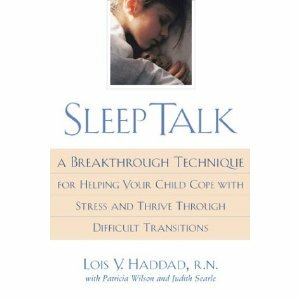 This is a truth many of us know intellectually, but Sleep Talk offers a way to get beyond the child’s usual objections to any given suggestion for changing attitudes or behaviors. When alternative modes of behavior are offered to a sleeping child in a context of love and approval as though they were already a fact, the usual defenses are disarmed, and the child is able to “own” the new way of being in a context of self-respect”. Overall, this is a powerful book and technique, and I highly recommend trying it out. It is a wonderful option for planting seeds of love within your child’s life.